My ideal morning is waking up when the sky is gently lit by the sun and going for a morning run. And after jumping in the shower and making breakfast, I enjoy getting back in bed and reading a good book. The feeling is even more amazing when there's heavy rain that can accompany my books. 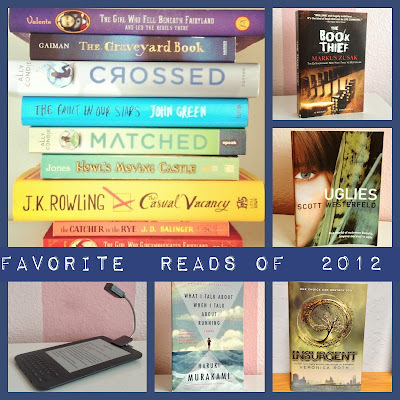 So since 2012 is coming to a close, I thought there would be nothing better than to summarize my 2012 by telling you my favorites reads. I won't be listing all 50 books since 1.) a list isn't incredibly interesting unless I am able to comment on all the books in some way and 2.) that would take far too much time, and 3.) there were some books I read that I really don't care for and therefore don't want to waste time talking about them. So the main thing I wanted to accomplish in this post was giving you 10 of my favorite NEW books that I read this year. Keep in mind, this was a difficult list to assemble and there were many books that I wrestled with adding/deleting from this list so if you know I read a book this year and didn't include in on this list (ie: The Casual Vacancy, The Handmaid's Tale) don't assume I didn't enjoy it as well. But without further ado, here are my favorite books of 2012! 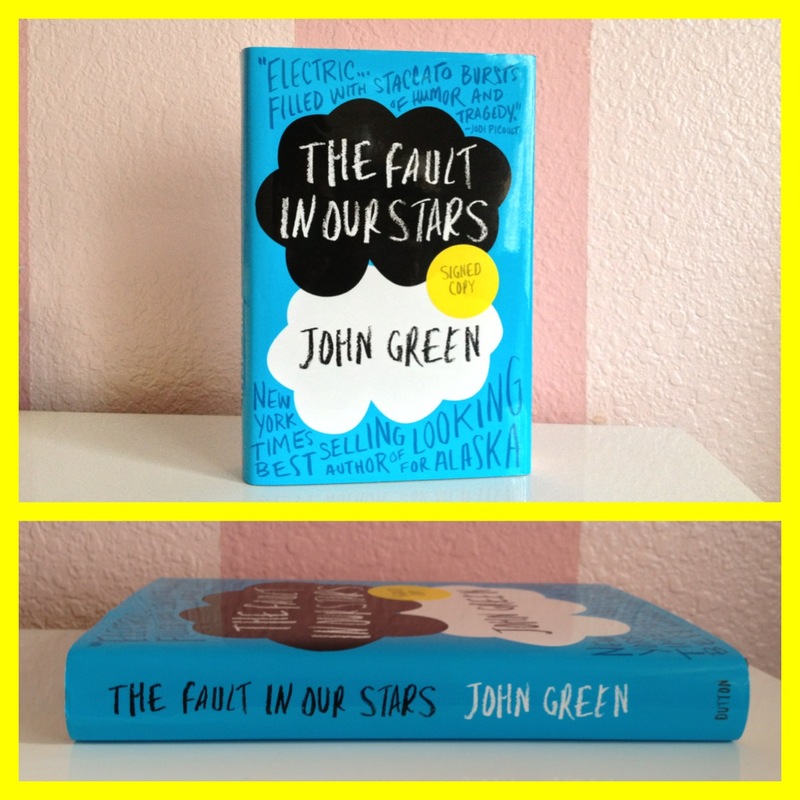 I thought I would start with TFIOS since most who know me already expect it. TFIOS has lovable characters, made me laugh, and cry, and to this day, I often think back to Hazel and what she taught Augustus about oblivion and its inevitability. Unfortunately, I don't have a book review to link for this book since I started this blog well after reading it, but I'll consider writing one in the future. 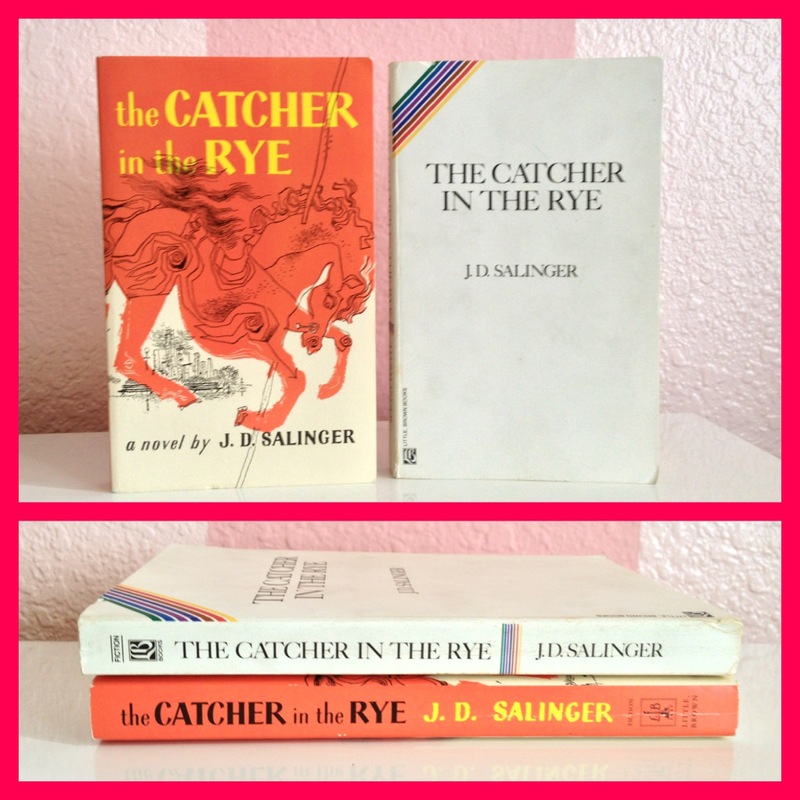 Here's another book that I raved about back when I did a post on my All-Time Favorite Books (a list that really needs some revising). The Catcher in the Rye is all about growing up and though I'm not a teenage boy, have never attended a prep school, or talked to a prostitute, there's something about Holden that is inexplicably easy to relate to. This is one of those books that I could reread every year for the rest of my days. This book was one that I picked up and had a difficult time putting down. 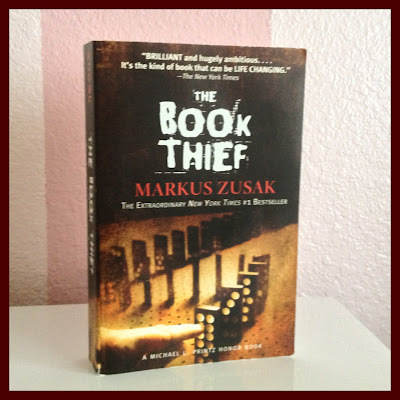 The characters have so much heart and I really fell in love with the relationship between Liesel and Max. I loved the eery perspective of death. Definitely one to reread. 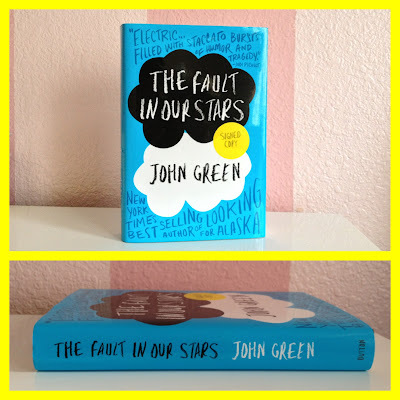 I won't talk about it too much since I already did a complete review, which you can find here. I consider myself a big fan of Austen's writing and was able to complete two of her novels this year- Emma and Northanger Abbey. I did not enjoy the latter quite so much. The former, on the other hand, was a very soothing, fun read. Austen has a way of incorporating subtle humor into her language that makes it very enjoyable. 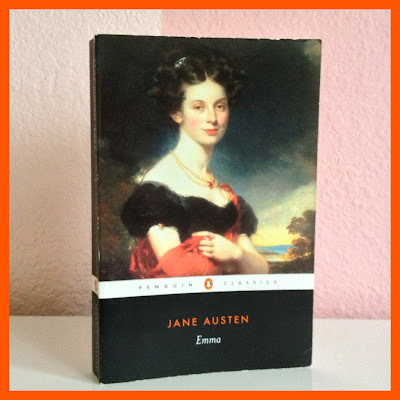 Though Pride and Prejudice is still my favorite Austen piece, I still consider Emma high on that list. Full review here. In a way, I feel like this list is slightly unfair, since books I finished most recently are more likely to impact me than those I read back in February. 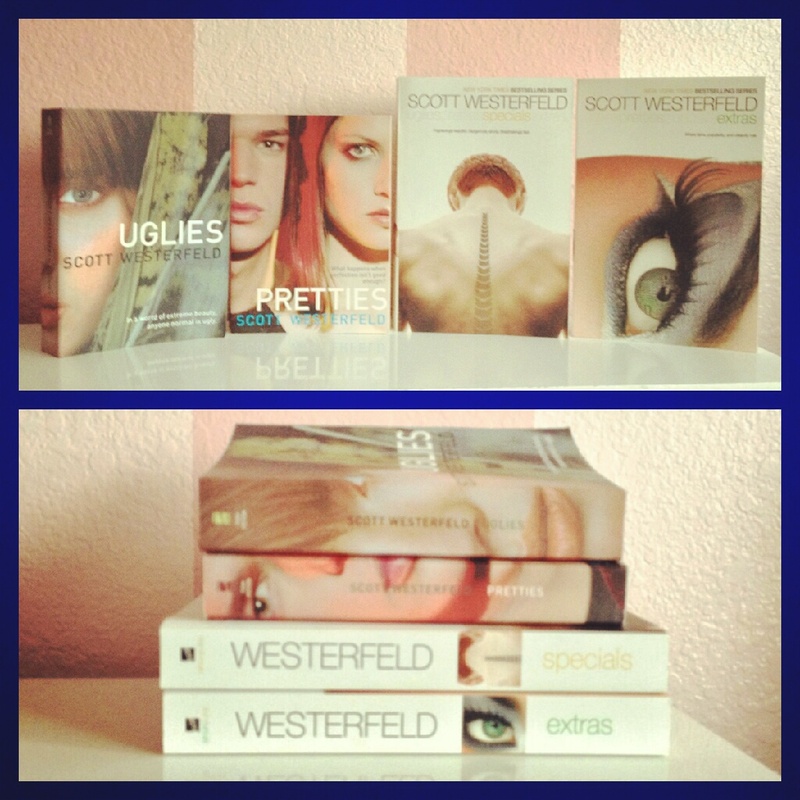 The Uglies Series is one of those series that remain fresh in my mind. However, if I didn't just recently finish it, I'm sure I would still consider them a great read, so I wanted to include the first three books (I need to emphasize, NOT INCLUDING Extras) on this list. Everyone who I spoke to about this book pleaded me not to read it and made it sound like a shallow excuse for a piece of literature. Despite this, my love for dystopian novels overrode their pleas, and I'm very happy it did. My main concern with this series is how well it will stand up to rereading. But that will remain to seen. 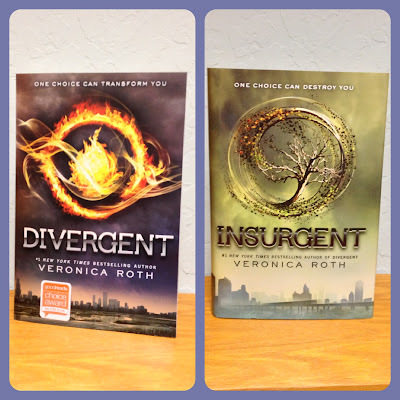 Expect complete reviews for each installment soon! This series is a complete gem that I stumbled upon. I found it completely by accident while browsing a local independent book store. Aside from my love of dystopian novels, I love fantasy novels that deal with the subject of a protagonist (or a group of protagonists) who stumble across a strange world (ie: Alice In Wonderland, Peter Pan, Coraline, The Lion, the Witch, and the Wardrobe). Reading these novels I felt I related very much to September and her desire for adventure. The books bring about this warm sense of happiness I only get when I visit the children's/teens section of bookstores, but isn't written with too much simplicity that it gets boring. Of the two, I would say I enjoyed The Girl Who Fell Beneath Fairyland and Led the Revels There more (the pacing was slightly better), but the two were so fun it's difficult for me to even confirm that. 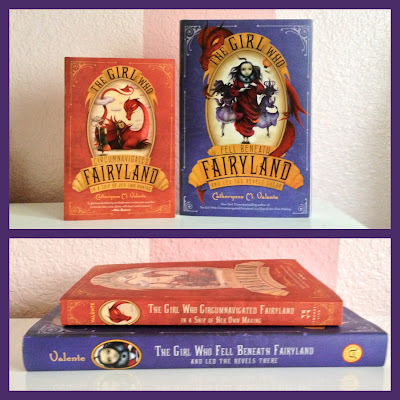 Between reading the two, I stumbled across The Girl Who Ruled Fairyland-For A Little While, a shorter read only available as an e-book. I love the short story addition and the background it provides for the characters Mallow and the Green Wind. A good read if you're unsure if you'd enjoy the series and want a glimpse into the style and narration. Dracula is one that I struggled with whether or not it deserved a spot on this list. 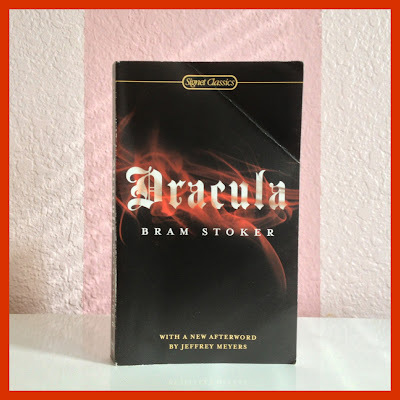 But I rarely find myself completely absorbed in adventure/"thriller" novels with fantasy creatures, but Stoker's Dracula really had me enthralled throughout the entire novel. If you would like to read my spoiler-free review, you can find it here. I'm excited to talk about this book for a bit since I also read it quite a bit before starting this blog. 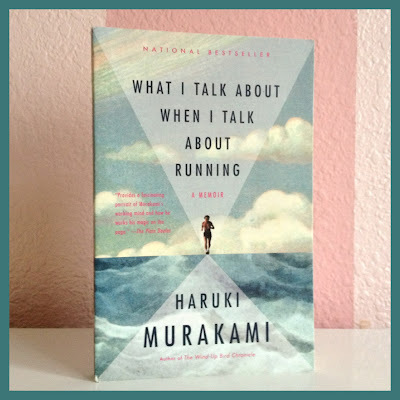 What I Talk About When I Talk About Running is that book that just hit my life at the right time. I was within the first 6 months of starting a serious running routine and reviving my passion for writing. I initially thought this memoir would lean more towards the running aspect than the writing but it has a great balance of both. The memoir was inspiring to me and is definitely something I would recommend to those who are interested in running/writing/or both. Now, this book is exactly why I waited until the LAST day of 2012 to upload this post. I was skeptical when starting this book since I had been such a huge fan of Miyazaki's adaptation. But as soon as I started I knew this book would find a place on this list and had to put posting it on hold. It's been years since I've watched the film, but I actually think reading the book was a more enjoyable experience than my first time watching the film. It's a fun read that I felt I had to include because it's the type of book that as an adult I completely appreciate and adore, but I know that if I had read it when I was 12, I would have been utterly in love. 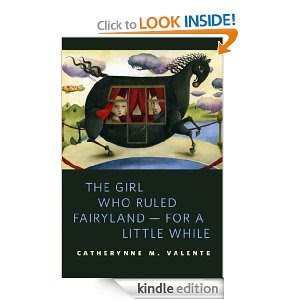 And like I said with Catherynne Valente's novels, I love stories that are a bit "out there," and this is one of them. Love. 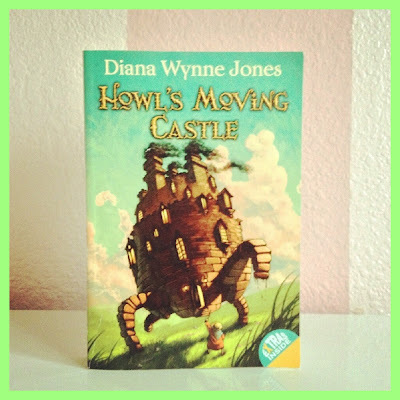 I hope you enjoyed this list, because not only was it difficult to assemble, but incredibly fun for a bookworm like me. I'm even more excited about my 2013 Reading list that will most likely go up tomorrow! #3 definately appeals to me due to the "eery perspective of death/"